That's quite a long title for this really simple and delicious dessert. This sorbet is the wonderful tastes of summer, in an icy, refreshing treat! 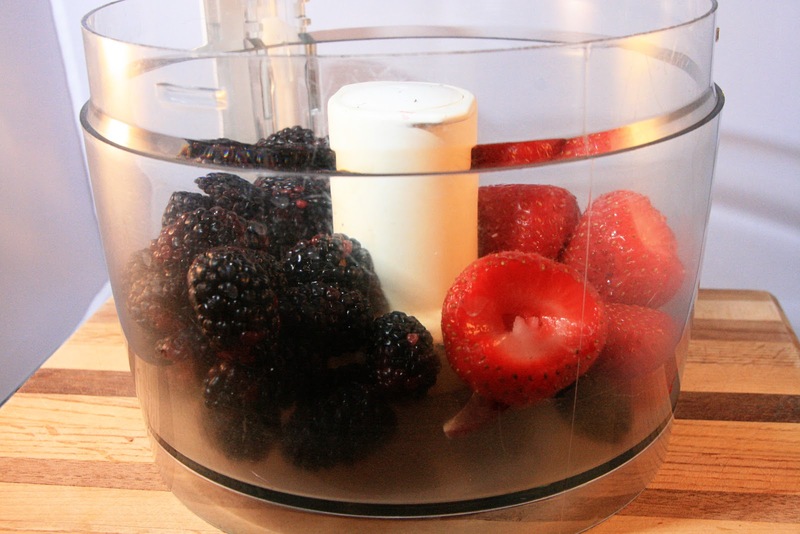 Puree the blackberries and strawberries in a food processor. Measure 2 1/2 cups of the puree and transfer to a medium bowl. Reserve the remaining puree (if any) for another use. Combine the lemon juice, sugar, and corn syrup in a small saucepan and bring to a boil, stirring to dissolve the sugar. Remove from the heat. 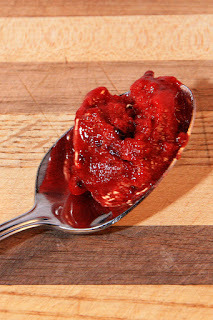 Whisk the syrup into the pureed berries. 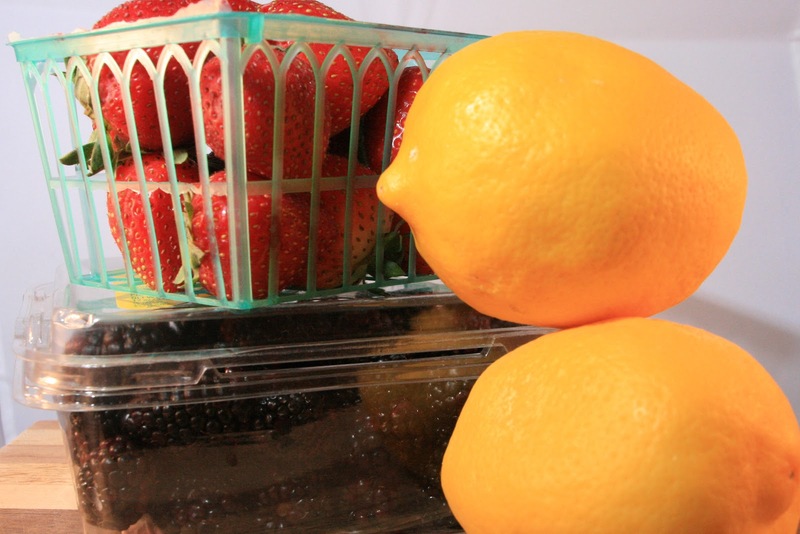 Pour the mixture into a 1-gallon Ziploc freezer bag, and submerge into ice water. Let stand, adding ice as necessary until cold (about 30 minutes. 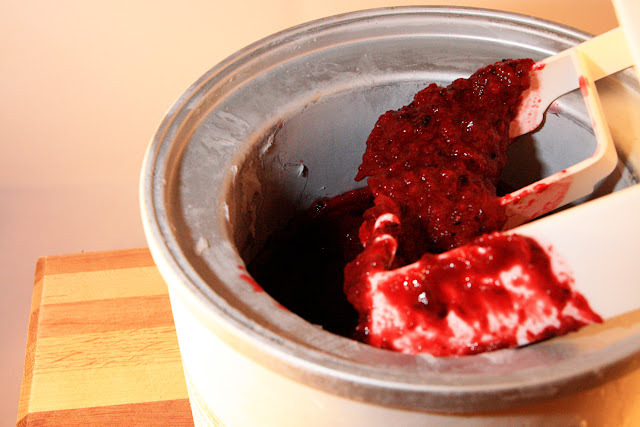 Pour the sorbet base into the frozen canister of an ice cream maker and spin just until it is the consistency of very softly whipped cream. 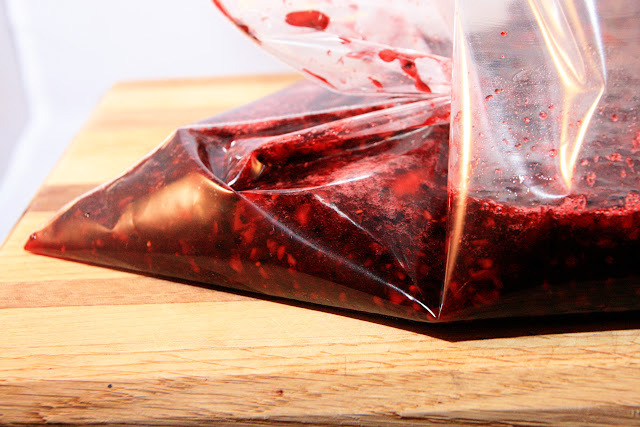 Pack the sorbet into a storage container, pressing a sheet of parchment paper directly against the surface and seal with an airtight lid. 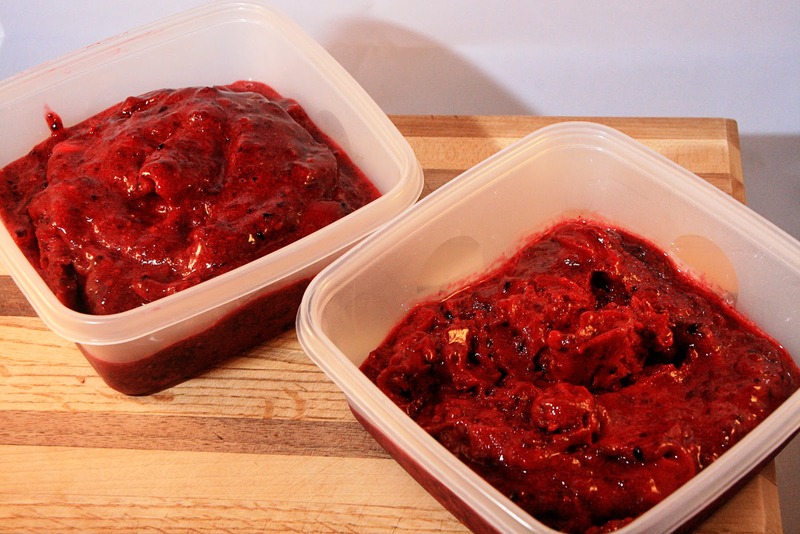 Freeze in the coldest part of the freezer until firm - at least four hours. This is the perfect ending to a summer meal, and a lovely treat on a hot summer night! I used our own strawberries, but the blackberries were from the farmer's market this time. Next year I'm hoping we get them from our own bushes - a girl can dream!